How to Enhance Your Customer Support: Step by Step Guide? Being at odds with customers is bad. The belief that customer is always right plays out in the court of public opinion. In a Customer Service and Business Results survey, 88% of customers reveals that they are influenced by customer reviews in their buying decision. Hence, a customer complaint on social media can ruin all you have worked so hard for many years to build. Understandably, things fall through the cracks sometimes. Expectations are not always met. Good customer support saves you the troubles that can be created by an agitated customer. In a report by MyCustomer, 32% of customer support representatives states that they lack sufficient knowledge to assist customers with their issues. This shocking revelation leaves a lot of questions about the competence of customer support personnel. Train your support representative on the best practices. Customer support revolves around effective communication. You receive messages from customers and pass messages across to them. Ensure that you understand their concerns, otherwise, you will miss the point. The first step to effective communication is to be a good listener. Do not be in a hurry to speak. Allow customers to complete their sentences before talking. Ask questions about things that are not clear. Use active sentences in directing them on what to do. Speak clearly, at a moderate pace, so they can understand each word you say. Empathy creates a personal connection is customer support. It enables you to put yourself in the customer’s shoes in order to understand their situation. Customers who reach out to you may be curious, anxious, agitated or even frustrated. Resist the temptation to get riled up by their attitude. If a customer is upset that the amount debited from their card was above the total price during check out. Put yourself in their shoes: how would you feel if the same thing happened to you? Acknowledge the issue at hand, and assure them that it will be resolved. According to a Customer Experience Impact Report, 50% of customers give brands a maximum of one week to resolve their issues before they stop doing business with them. One week is sufficient for a competent customer support team to deliver. It is appalling when the people who are supposed to proffer solution are clueless. Ignorance is not an excuse, especially when you are meant to be an authority. Train and re-train your support team. Creating a seamless experience is the ultimate goal in customer service, and omnichannel support makes this more attainable. In a fast-paced society like ours, consumers are preoccupied with a lot of things. A simplified process where they have access to information and different mediums of support, makes it easier for them to get what they want without obstructing their schedule. A study by Forrester states that the use of web and mobile self-service applications increased from 67% in 2012 to 81% in 2015 in the United States of America. Also, the use of online community/forum for help increased from 31% in 2012 to 56% in 2015. Self-service is mutually beneficial to both your organization and your customers. Customer support weight on your shoulders is reduced and they get quick resolutions at their convenience. Live chat is a support tool installed on a website to take customer inquiries or concerns. Use of live chat by companies for rendering support to customers has increased over the years due to its high level of efficiency. Forrester reports that more than 30% of customers look forward to seeing the live chat on a website. They are relieved of the hassle of sending emails back and forth. A few hours spent, waiting for a business to reply to a complaint, feels like an eternity to a worried customer. Speed is an edge live chat has over other customer support tools such as email. The average customer is always in a hurry. They want answers with the speed of light. Slow response is one of the major reasons why customers leave a site. Live chat provides real time engagement. Within a few seconds, customer concerns are resolved, and they can proceed with their activities. It can be integrated with CRM to offer better customer experience. Support representatives can leverage customers’ previous interactions on the site to understand and serve them better. Before initiating a chat, customers can be asked to enter their full name. This enables your system to search their browsing history, and provide you with information that will enable you to serve them better. Ensure that you have a visible live chat icon displayed on your website. As a visitor comes in, send an automated welcome message to them, and ask if you could help them in any way. In the face of difficult situations, customers get very anxious. Despite being guided by support representatives on how to resolve an issue, they may be unable to go through with it. No amount of assurance can pacify a troubled customer. All they want, is a remedy to the problem. This can be a hard nut to crack if support agents do not have access to the system. Co-browsing breaks information and access barriers. It enables the agent to access the customer’s screen via its screen-sharing feature. 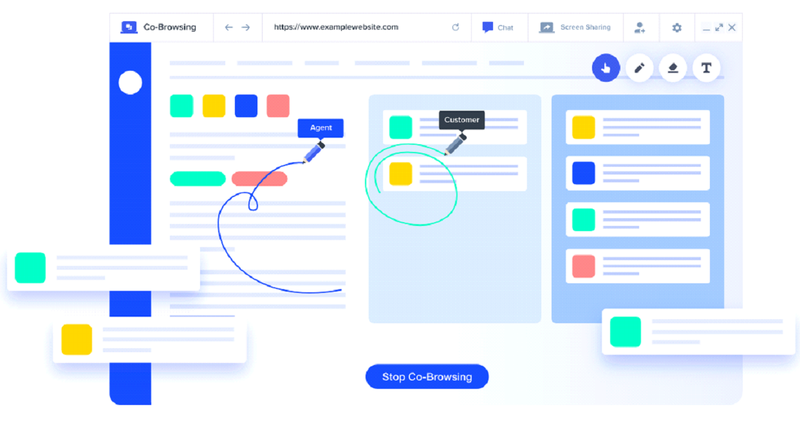 By sharing the same screen with the customer, the agent has direct control of the page, sees everything just as it is, and can make inputs. Research shows that a lot of online users like to be anonymous. Privacy concerns arise with screen sharing tools due to access granted. Co-browsing allows the agent and customer to share the same screen, but the agent is restricted to only that tab. The customer is very much in control of their computer, and restricts the agent from going to other places. User identity is protected; their name can be concealed. The agent is only authorized to see what the customer wants them to see. There is no need for numerous downloads and screenshots in explaining the problem. Everything is sorted, promptly, like nothing ever went wrong. Feedback gives a competitive edge in business. No matter how hard you strive to resolve all customer inquiries and complaints, you might still be missing some things. There is no better way to know this than hearing from the people you serve. Send emails to your customers, periodically, seeking their opinion about your products and/or services. Complex questions have a low response rate. Keep it simple. The online survey is quite popular. 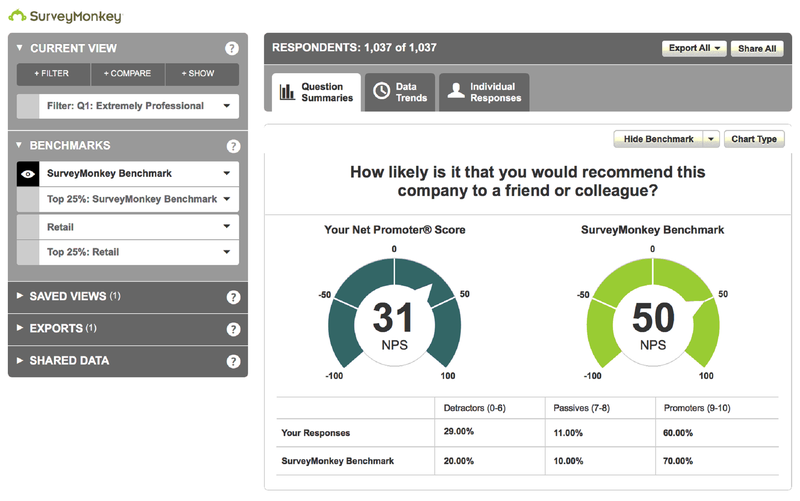 You create a questionnaire and invite respondents to fill it. It has a high response rate due to its convenience; respondents can do it at their convenience. This method of feedback collection is suitable for large data. Hundreds of questionnaires can be filled easily via the internet. There are several online survey tools you can use. Customers like to know that they are interacting with humans. While you make use of digital technologies to enhance your support system, do not lose your human touch. Business is indeed a serious affair, but all that serious can be stifling. A little relaxation does not hurt anyone. Show your customers that you are approachable. Social media is a great place to start. Engage your customers in a friendly language. Ask customers to feel free to express their concerns on your page. And when they do, respond gracefully. Do not neglect your customer support representatives. They are the ones directly interacting with customers. How they feel, either good or bad rubs off on their performance. Prioritize the happiness of your customer support agents. A study by Social Market Foundation shows that happy employees are more productive than unhappy ones by 20%. Due to their good state of mind, happy employees give their best in all their responsibilities and even go the extra mile. Be nice to your support representatives, and give them all the rewards they deserve. As the saying goes: “the end justifies the means.” When you begin to enjoy the benefits of good customer support, you will realize that every effort made or a penny spent is worth it. An organization that does right by her customers always has a success story.